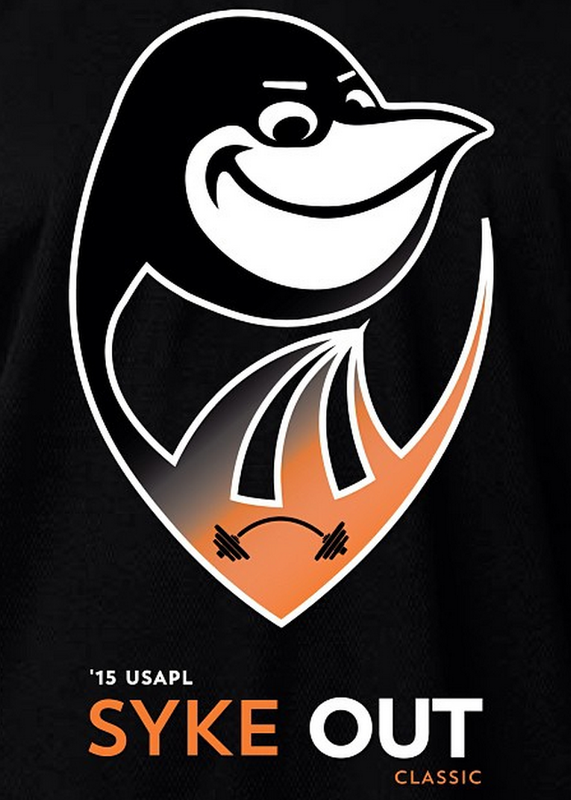 05/30/2015: 2015 USA Powerlifting Syke Out Classic (#MD-2015-04). Athens Health Club – 6000 Emerald Ln Sykesville, MD 21784. Please see attached spreadsheet noting the full meet roster including lot numbers, weight classes and preliminary flights. 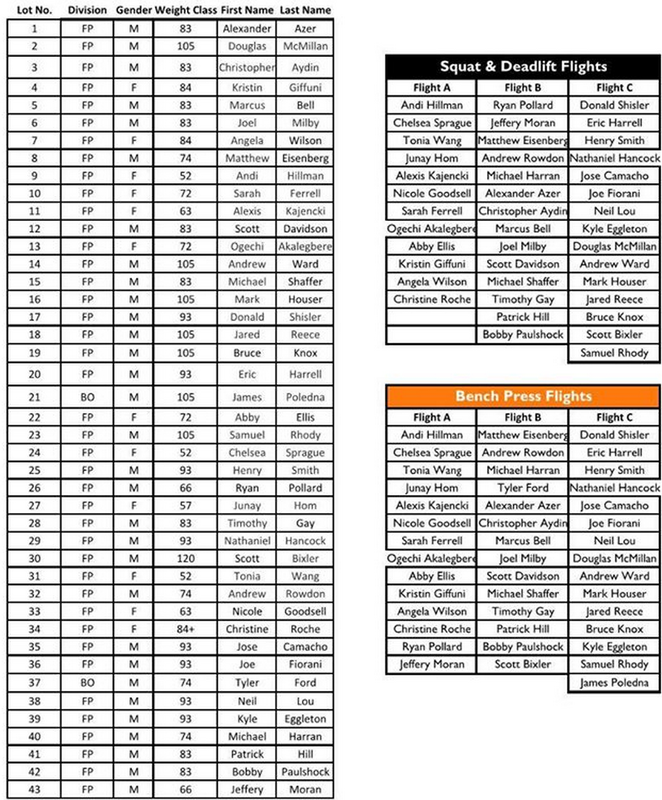 It is important to note lot numbers dictate the order in which lifters weigh in on Saturday, May 30th. Thank you and look for more information in the next week!